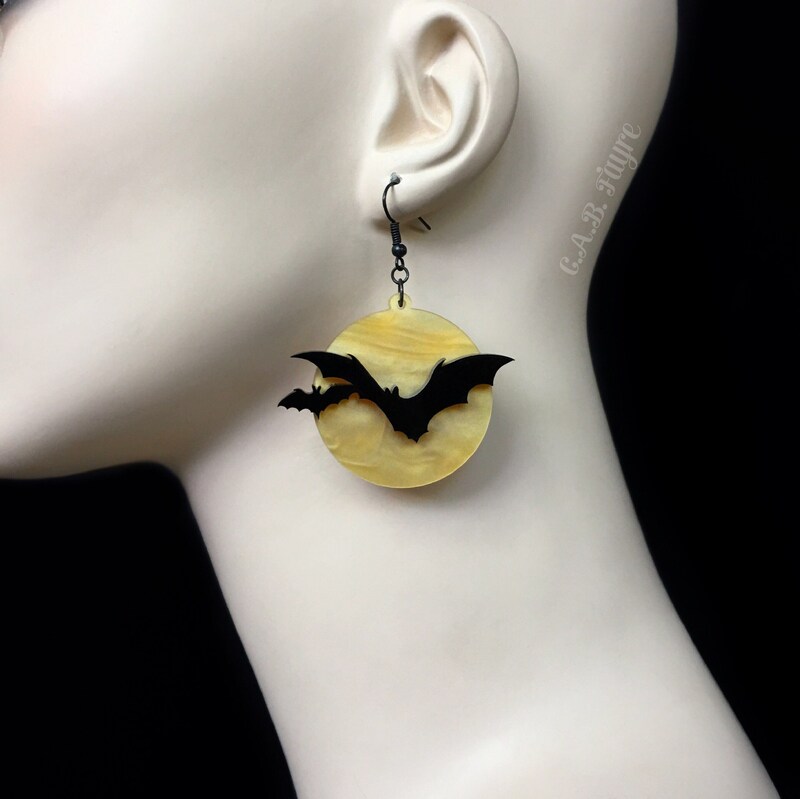 These earrings are light weight and comfortable to wear. They are made of 2 layers of 1/8” thick acrylic. 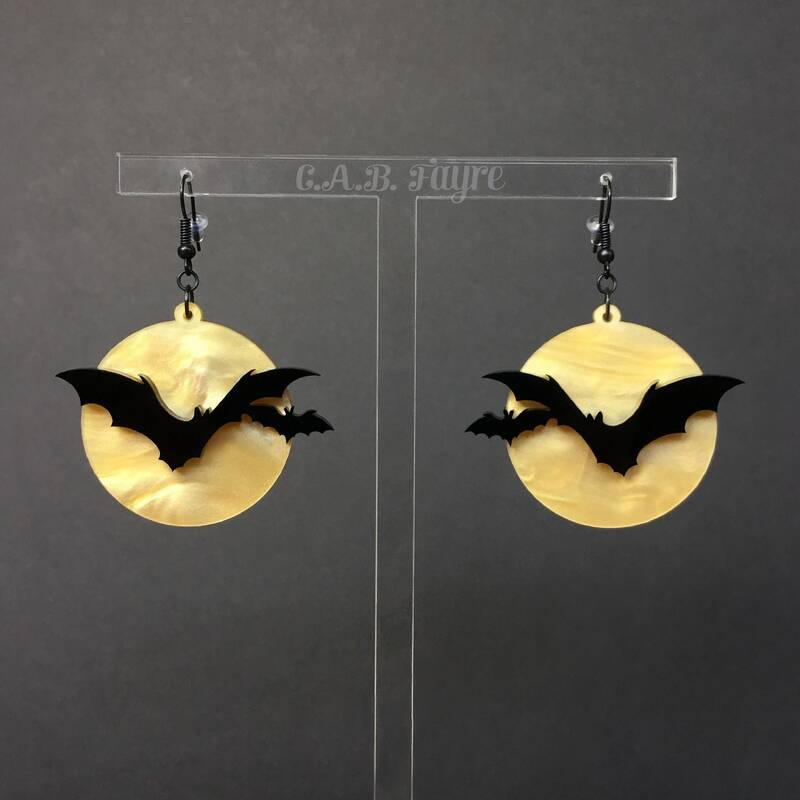 Other moon and bat colors available upon request. 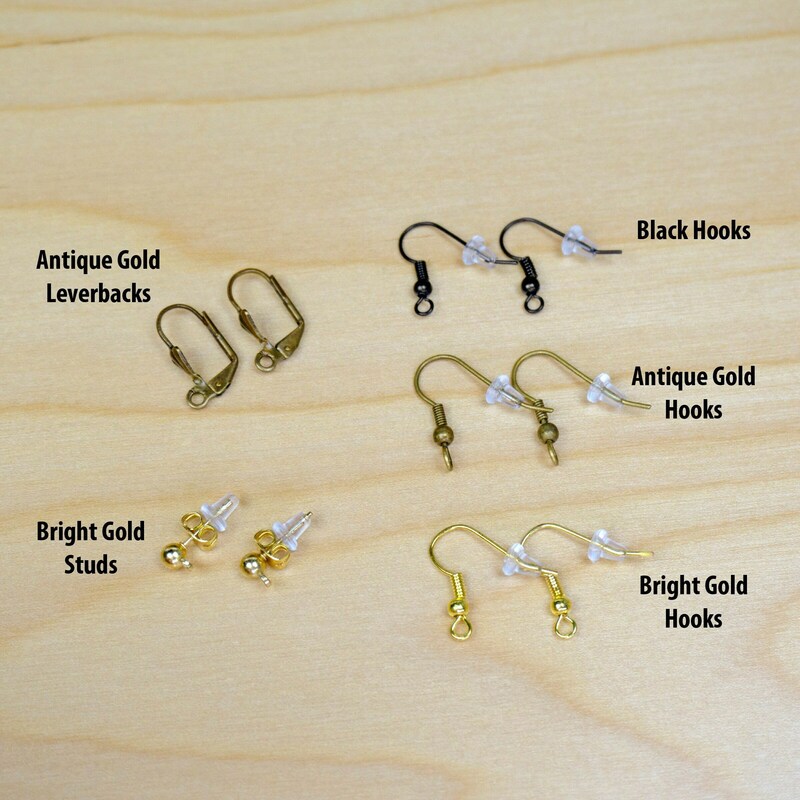 All earring hooks are nickel and lead free and hooks come with rubber backs.